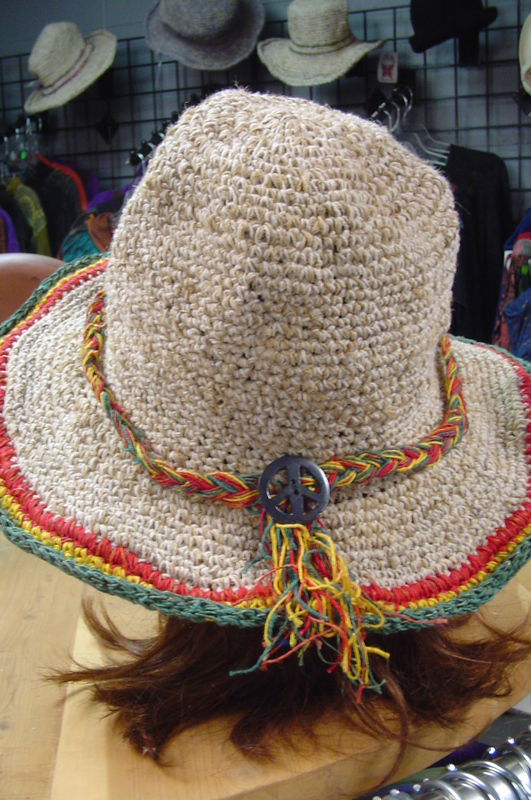 From Gypsy Rose this hat made of durable earth friendly HEMP will take you back in time. The wire brim makes it easy to carry this hat in your backpack and take out to unfold and shape when it's time to wear. Fits all adults. Let your rasta colors shine!